Philadelphia is a city of firsts. It was our nation’s first capital. It had the first newspaper, hospital, and bank. It hosted the first Civil Rights demonstrations, and later, gay rights movements. More so than any other city, its name has been an example of how to live. 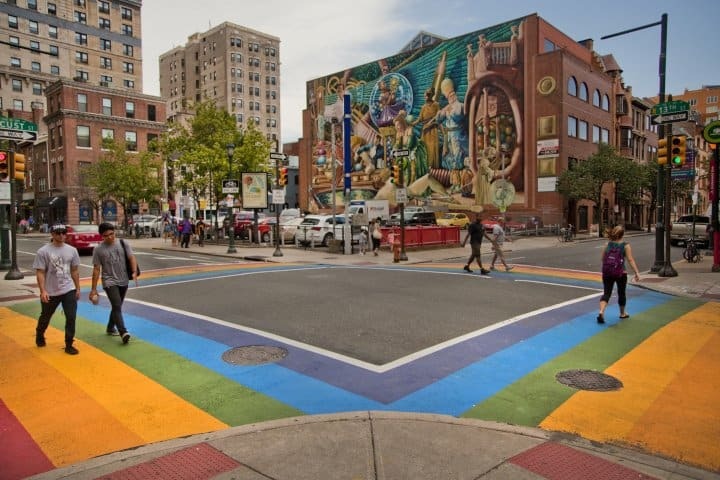 Philadelphia, at its very soul, is a friendly—and gay-friendly—place, evident everywhere, from the neighborhoods, the nightlife, and most importantly, the residents. Every corner of the city is steeped in history, and lucky for you, it’s all easy to find. Philadelphia is one of the most walkable cities in America, so don’t bother with the car. You’ll want to explore the some of the 100 or so neighborhoods on foot (with the help of excellent public transportation). 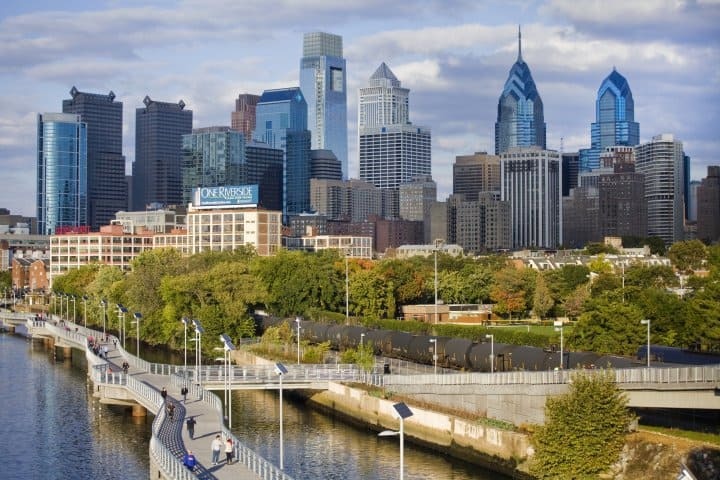 Tourists generally stay and play in Center City, comprised of a few must-visit ’hoods, such as Old City, the Benjamin Franklin Parkway/Art Museum area, and yes, the Gayborhood. The Old City neighborhood packs in a dense amount of history, mostly centered in and around Independence National Historical Park. There you’ll find Independence Hall and the Liberty Bell. That crack ain’t whack; it’s pure Americana. When you’ve soaked up enough American history, you can move on to art. 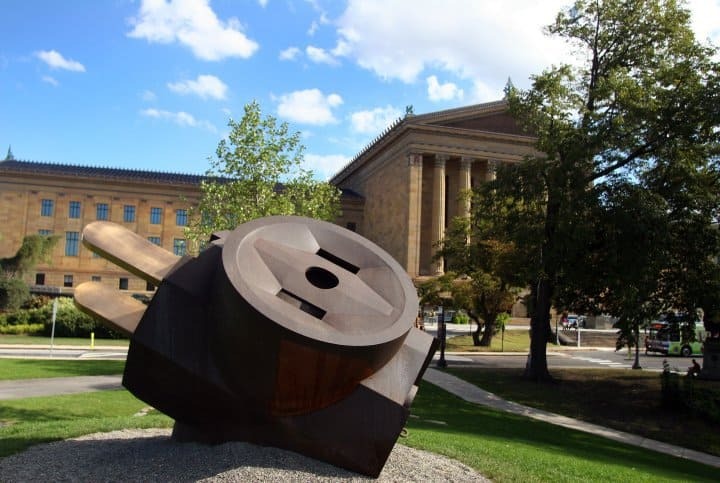 Your stay will not be complete without a trip to the Philadelphia Museum of Art. You can either admire the grand building and the extensive collection inside, or run up the steps like Rocky. Nearby is Fairmount Park, almost 9,000 acres of beautiful gardens and historic mansions. All the walking will work up an appetite—good thing the restaurant scene in Philadelphia is phenomenal. And unless you are vegetarian or bound by religion, you must have a real Philly cheesesteak. Go to the Italian Market for a wide selection of things to put in your mouth. It’ll be good practice for the rest of the night. The Gayborhood (capital G) in Philadelphia is just about as friendly as you could hope. Officially, it’s the part of Washington Square West roughly bordered by 11th and Broad, Chestnut and Pine streets. But anyone who knows the love that dares not speak its name just calls it the Gayborhood. Even the City (capital C) knows; in 2007, the mayor et al. put gay pride rainbow flag symbols on the street signs. How’s that for gay-friendly? Gays, straights, and the hetero-flexible all mix quite well in this area, and in parts for that matter. There are cute shops to peruse during the day and fun, animated bars and clubs at night. The folks are genuinely glad to meet you, and you will make friends if you haven’t already. There are diverse options for boys and girls, young and…umm, mature. The Gayborhood truly is a neighborhood, not just a geographic boundary. Other great neighborhoods include South Street (edgy), Queens Village (not named for gays), and University City (impressionable Ivy League kids). There are so many specific reasons to visit Philly. New Year’s is huge—10,000 “straight” men dressed in drag for the Mummers Parade is hard to pass up. The Equality Forum with the Blue Ball fundraiser in April/May. Pride in June. OutFest (National Coming Out Day) in October. Many people come from distant cities just to spend the weekend in Philadelphia because the city has a certain magic they can’t get at home. Call it the spirit of brotherly love if you must, but whatever “it” is, it will keep you coming back for more.